While most of us love the festive season, for pet owners it can throw up some unique challenges and pitfalls. Routines such as walking and feeding times, and many of the things we do regularly with our pets at certain times can go out the window when the festive season hits, which can be unsettling for pets. There are also plenty of new ‘toys’ around the house that can actually be dangerous to our pets such as Christmas trees, Christmas tree decorations and even pine needles. And that’s not to mention all the tasty Christmas treats which can be toxic to pets. And while many pet owners may be vigilant when it comes to what they feed their pets, many of our guests could end up feeding our pets things we don’t want them to have. So how can you keep your pets happy and healthy over the festive season? To find out more, watch our video for key advice from Steve Backshall and vet Paul Manktelow. Your family pet is sure to give you lots of joy over the years, but he may also give you a few problems when it comes to keeping the house clean. No matter how much you get him groomed, his hairs could still find their way onto your furniture and carpet. Pet hair getting stuck in carpets is one of those things that can be a real headache for a family. If you are at your wits end trying to work out how to clean it up then the good news is that there are some simple solutions to help you out. You might not know that there are some special pet vacuum cleaners around that have been designed specifically with the removal of pet hair in mind. With one of these vacuums you will be able to clean up more quickly and also far more efficiently. The design of these cleaners and the type of brush used means that they simply work far better on pet hair than other vacuums do. You also get to choose from a wide mixture of types of cleaner, from powerful upright models to nimble little canisters. Of course, you can still use this pet vacuum cleaner to clean the rest of the house efficiently as well. There is no need to have one of these and a conventional vacuum as well. As with any type of household cleaning chore, the more regularly you do it the easier it is. This is because you run the risk of the hair being trampled into the carpet if you leave it too long without cleaning. The best idea is to set up a regular routine in which you vacuum up those pet hairs often enough for them to not become a problem. If you do this, and use the right kind of vacuum, then life will become a lot easier for you. On the other hand, if you let the pet hairs get stood on repeatedly then there is the risk that they go deeper and deeper into the carpet, making it really difficult to get them out. In really difficult cases you may need a helping hand to get out the hairs that have been trampled into your carpet. This can be achieved by using a fabric softener solution to make it easier. In this case, the first step is to gather together the two different parts of the mixture; liquid fabric softener and water. You then mix three parts water with one part fabric and put the resulting mixture into a spray bottle. The next step is to lightly mist the soiled area of the carpet and then let it dry. It will then be easier to clean it with your vacuum and remove those difficult hairs. 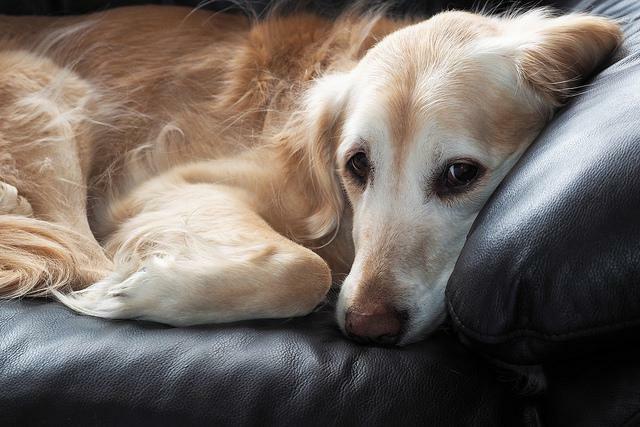 Another interesting idea for cleaning the pet hair from your carpet more easily is to use baking soda on it. With this method, all you need to do is lightly sprinkle baking soda onto the area of carpet where the hairs are. Let it sit there for a few minutes and then vacuum it up in the usual way. This approach has the added benefit of giving your home a lovely smell afterwards, while you can also add vinegar for really stubborn stains. There is no reason to think that having a pet means having to struggle with a dirty house. With the right approach you can clean up those pet hairs easily and effectively.